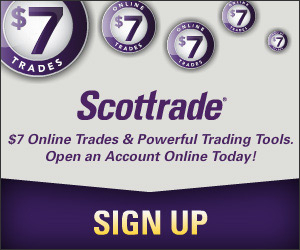 I have been considering an E-Trade Global Trading account for quite some time. I thought it’s a good idea to invest directly into foreign markets, in addition to buying ADRs that are listed on US markets. What held me back is the high cost of trading foreign stocks. However, I still want to try that program to buy Chinese stocks listed on Hong Kong Stock Exchange. Not many (I can’t afford to buy many anyway because of the high fees), just one at the beginning to see how it goes. So I went ahead and opened an account late last month and funded the account with $1,000 (it did take me five business days to complete the ACH fund transfer. However, if you have a E-Trade Complete Savings Account, you can transfer between savings account and brokerage account instantly). 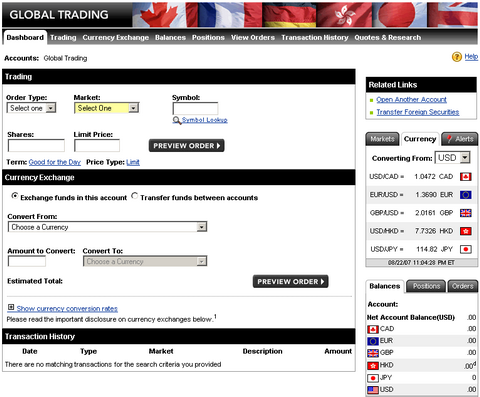 The following is screenshot of the Global Trading platform. The stock that I am interested in is Industrial and Commercial Bank of China (ICBC), world’s largest bank. Before making any trade, the US dollars in my account had to be converted to HK dollars first. It cost me about $11 to convert my $1,000 into HK$7,717. So even before buying any stock, I already lost $11. After the conversion, I used their real-time quote system to get the price of HK.1398. What I have noticed was that there’s no Market order and only Limit order can be placed. For stocks listed on HKSE, they have a limit on the increments of the shares one can purchase (called board lot size), anywhere from 50 shares to 10,000 shares. For the stock I wanted to buy, the lot size is 1,000, meaning I can only buy shares in the multiples of 1,000 shares. The money I transferred was more than enough for 1,000 shares, but short for 2,000. If I found out this information before the currency conversion, I probably would transfer a little more to buy 2,000 shares. However, since I already paid the conversion fee, I decided to buy only 1,000 shares. The market was closed when we received your order. It has been entered into our system and will be reviewed prior to market open on the next regular trading day. After market open, please check to make sure your order was accepted. It’s kind of ridiculous that they use EST (10:00 pm) instead of local time (HK time) to determine the time the order is received. Are we trading US stocks or foreign stocks? Anyway, the next morning when I called them to ask why I got the error message, they told me the order has already been executed, but gave no reason about the error. Right now, the stock I bought at HK$5.00 is traded at HK$5.12. To break even, the stock price has to go to nearly HK$5.40 to cover both the currency conversion fee and commissions, equivalent to a gain of 8.00%. In addition to the above mentioned fees, E-Trade also charges the so called Account Service Fee (ASF) of $40 every quarter if the account balance is less than $10,000. Fortunately, that fee is exempted for accounts opened less than 12 months. Therefore, I will give myself a trail period of 12 months to see how the stock performs. If the growth meets my speculative expectation, I will consider using other ways (such as getting a money market account from them as well) to avoid the ASF; otherwise, just get my money back and forget about it. Good move Sun, I’m sure it will get to $5.40 in no time. Kate: Actually, that post is part of the “Featured article” that I intentionally created to highlight some of my old posts. Though I have added a frame to the article to make it look different from regular posts, I guess it’s still a little bit confusing. I need to think of how to make it appear differently, but still combined well with the theme of the site. Right now I run each featured article for a week, that’s why you noticed that article has been there for quite some time. I believe when you sell, there will automatically be a tax deducted from the proceeds in Hong Kong, before you get your money back — so it may have to go higher than HK5.40… I don’t remember how much the tax will be though. Also, any information on how any profit will be treated by the IRS will be interesting. I assume e-trade will report the profit/loss on regular 1099 in USD and the IRS will tax you based on that, right? I’m thinking of opening a similar account with Etrade and was wondering if you have any details on the tax treatment of sales in this account. Also do you know if you own the stock outright or is it etrade in that country? I wish I had read your post before I opened my e*trade global trading account. It is the worse brokerage experience I’ve had and the way their limit-price trading scheme seems to work appears ridiculous. actualy i am willing to make an trading account. but i dont know the process to make it. can any one please help me.i want this trading account for trading in mcx.